Analyst Jobs in HCL Technologies | Walkin Drive on 9th December 2017 | Chennai. Mega Job Fair at HCL Technologies for Financial Freshers. Interested candidates can Walk-in for an exciting career in HCL Technologies in Financial Analyst Domain. Get Placed Today by exploring your skills at HCL Analyst Walkin Interview. Individuals who are looking for Jobs in Chennai can apply for HCL Careers Jobs. Direct Walkin for freshers of 2017 batch to HCL Technologies Walkin Interview. View the job openings for the Financial Analyst jobs in HCL Technologies in Chennai. Candidates are requested to refer the job description, required skills to apply for HCL Walkin Interview. All the essential information about HCL Technologies Analyst Jobs are enclosed in this article. Scroll down and have a glance at it. Also, refer All India Jobs for more updates on Freshers Jobs. Walkin for B.Com, BBA, BA (Economics), BBM, M.Com, MBA(Finance), MA (Economics), MIB graduates to HCL Analyst Job Vacancies. People with good communication skills along with proficient knowledge of MS Office Excel, Word, Outlook has added an advantage. Eligible and interested candidates for HCL Technologies Walkin Interview must refer the HCL Interview Questions before attending the walk-in drive. Since most of the questions will be asked of it. Before attending for any walk-in drive, prior preparation is mandatory. Candidates having zero knowledge will be thrown out at the initial selection process. So, we advise our job seekers to have a better preparation with the help of HCL Test Patterns available on our blog. Practicing with the help of HCL Placement Papers will improve your knowledge of the online test. You can easily manage your time accordingly if you prepare well for it. Today Walkin’s in Chennai: Are you a fresher of 2017 passed out?? Then what are you looking for??? Walk for HCL Technologies Walkin Drive which is going to be held on 9th December 2017 for Analyst positions. Don’t miss this great opportunity. Check the Job Description for HCL Walkin. Education: Freshers (2017 batch only). Ready to relocate to Chennai/Coimbatore. Willing to work in night shift (Cab will be provided). Good interpersonal skills and communication skills (written and verbal). Since HCL Technologies have a substantial number of vacancies, Kindly refer your friends. Good knowledge of Accounting, Mutual Fund Industry, Capital Markets, Servicing of Institutional Assets (funds) and the various intermediaries. Knowledge of instruments like Equities, Bonds, Mutual Funds, Bank Debts, Derivatives, FX, etc. Highly proficient in MS Office, Word, Excel, Outlook. HCL was founded in 1976, and now it is the $6.5 billion leading Global Technology and IT enterprise comprising two companies listed in India i.e., HCL Technologies and HCL Infosystems. It is the India’s original IT garage start-ups. HCL has partnerships with several leading Global 1000 firms, including Technology firms and leading IT. A pioneer of modern computing, HCL is a global transformational enterprise today. Its range of offerings includes product engineering, custom & package applications, BPO, IT infrastructure services, IT hardware, systems integration, and distribution of information and communications technology (ICT) products across a wide range of focused industry verticals. The HCL consists of 1,00,000 professionals with diverse nationalities, who operate from 31 countries. It also includes the staff over 500 points of presence in India. How To Apply For HCL Technologies Walkin Drive?? 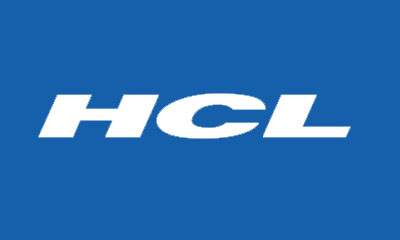 HCL Technologies Walkin Drive at Chennai for Analyst positions. Apply for Latest Walkin’s in HCL on 9th December 2017 which is going to be held at the following venue. People who are selected in the recruitment process will receive the handsome pay scale along with extra allowances. So, Hurry up, and attend for Tomorrow’s HCL Walkin Drive. Walkin Date: 9th December 2017. ID Proof issued by the Government.